Wall panels and decoration panels with exclusive designs and three-dimensional styles are in vogue. They are getting more and more important in the area of display and exhibition as they are much more exciting than only printed faces. With good reason: WallFace® wall panels and decoration plates create a vivacious and profound atmosphere. This aspect of value and quality is achieved by the product’s relief structure with some millimetres of height difference. 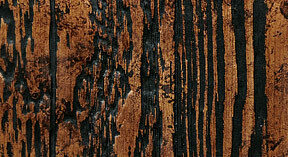 WallFace® is our answer to the latest design tendencies – modern, retro, shabby chic. WallFace adds a special touch. We use only high quality materials for producing our wall panels, wall coverings and decoration plates. Our wall panels, wall coverings and decoration plates imitate high value materials such as leather, embossed leather, fur, mirror mosaics, wood, etc. at the highest level. Our products convince by their lovely touch. At the same time they are of durable beauty and easy to clean. WallFace® wall panels, wall coverings and decoration plates are of high quality and therefore easy to handle. self-adhesive, easy to cut or saw and dimensionally stabe. Please see the concerning instructions. 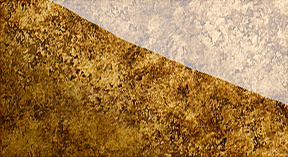 WallFace® wall panels show a reliable adhesive power. They are UV resistant and mostly scratch- and shockproof. Please see the concerning instructions. 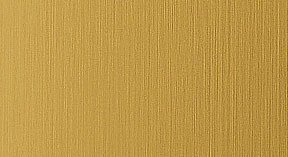 WallFace® wall panels, wall coverings and decoration plates convince by their trusted WallFace® quality. Sustainability is one of our basic principles. Our products are designed and developped according to a balanced life cycle assessment which is an integral part of our philosophy. Here we proudly present our current collections. Our designers carefully interpreted the latest design tendencies in a new way and with an eye for the small but important details. With three-dimensional decors, furry looks and leather designs with decorative seams you can choose among a great variety of decoration panels. As they are applied as easy as self-adhesive wallpaper you have the possibility to turn into reality even the most extraordinary ideas in just a few minutes. Feel the fascination of our wall panels’ exclusive look and touch. Give an individual and particular aspect to rooms, exhibition areas and show rooms. 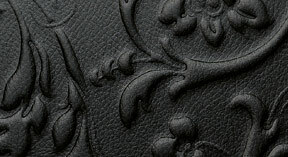 With the WallFace® Leather Collection you get high quality finished self-adhesive decoration panels in precious leather looks and many styles. These imitations are made of resitant leatherette, they feel like real leather and look accurate in every detail. The Structure Collection comes along with high quality decors with printed, embossed, metallised or specially varnished surfaces in a great variety and different patterns. These plates are very suitable for exhibition stand, shop construction and interior design. Self-adhesive wall panels in contemporary high-polish or rippled plastic look – this is the WallFace® Acrylic Collection. A special and particular aspect for every room with relief or plain glossy, specially varnished, abrasion resistant surfaces. The M-Style Collection contains self-adhesive polystyrene plates with metallised, reflective and specially lacquered plastic surfaces in mosaic or strip-type form. These panels are extremely flexible and therefore indiviually appicable. 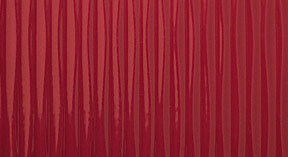 The Punch 3D Collection offers wall panels with punched, embossed and specially lacquered surfaces. 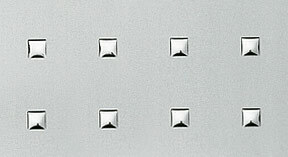 The exclusive metal look decor plates convince by their realistic touch and high quality finishing. The Deco Collection provides wall panels with plastic surfaces that are metallised, reflective, specially varnished, abrasion and scratch resistant. These decorative plates are sturdy, shockproof and low weight. 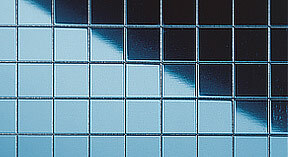 The WallFace S-Glass Collection provides you with high quality and first class finished decorative panels. The specially hardened plastic surface of plain and smooth brilliant acrylic glass is not only abrasion resistant but also emphasizes the various designs with a glossy glass effect and unbelievable depth. All our wall plates have a selfadhesive back side. Therefore they are versatile and quick to apply. WallFace® wall panels stick immediately, don’t need time to dry off and are easy to handle. The surface to cover shall be clean, dry and free of dust and dirt. Strongly absorbing surfaces such as brickwork shall be pretreated with a primer. With a carpet knife cut the desired shape and size from the plate. Bit by bit remove the cover sheeting from the adhesive back side and press the panel onto the wall with the help of a rubber roller. Avoid bubbles. Click here to download the application instructions as PDF.